The DVD comprises the 35-minute-long film "Verifica Incerta" and a recent filmed interview with Gianfranco Baruchello. 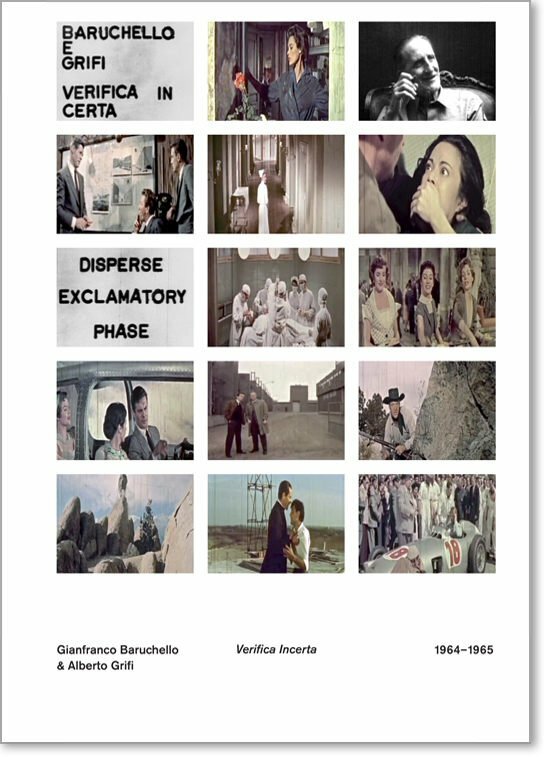 It is accompanied by a booklet that contains texts by Gianfranco Baruchello and Carla Subrizi, as well as numerous documents (photographs, archive, press clippings) about the film, its production, context, and reception in and since 1964. Born in 1924, Gianfranco Baruchello lives and works in Rome, where he created the Agricola Cornelia in 1973. His practice as an artist, poet, and experimental filmmaker is now being rediscovered thanks to a series of exhibitions, and participation in Biennials and group exhibitions, as well as publications. Published in collaboration with MDC – Massimo De Carlo, Milan/London.